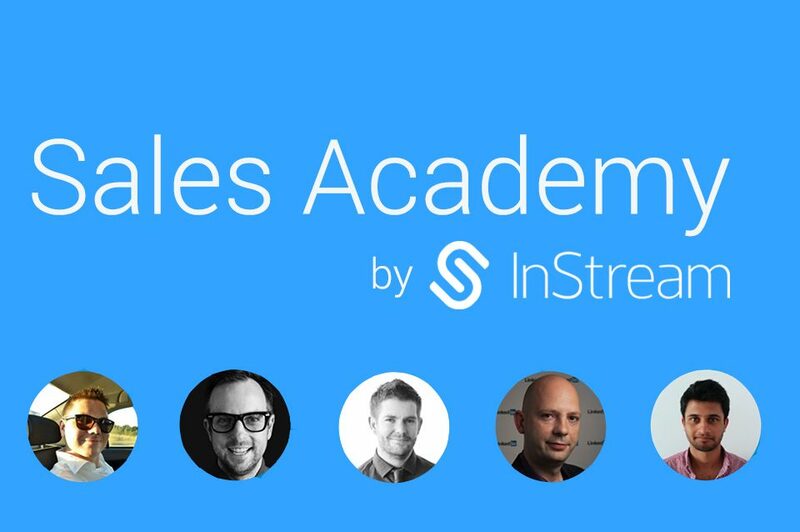 Sales is a process. It has its beginning and end. Efficient management of that process, at every single stage, is not a piece of cake. However, the one who would manage to design this process well can count on significant revenue. In this article, I am going to describe what the sales funnel is and what basic elements it contains. 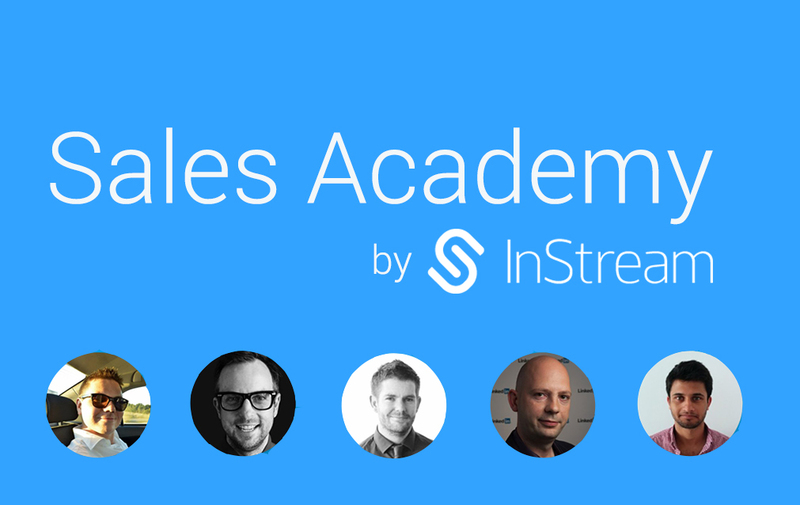 It will be the first article from my new cycle called “InStream Sales academy”. In the following articles, I will be describing particular stages of the process. 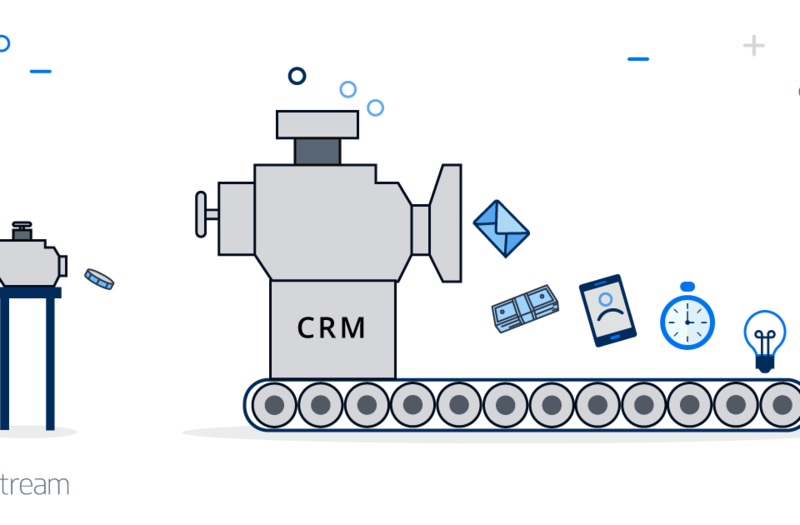 Every single sales process you can graph as a funnel. What happens during the process is very similar to what happens when dirty water flows into the funnel, with a strainer. 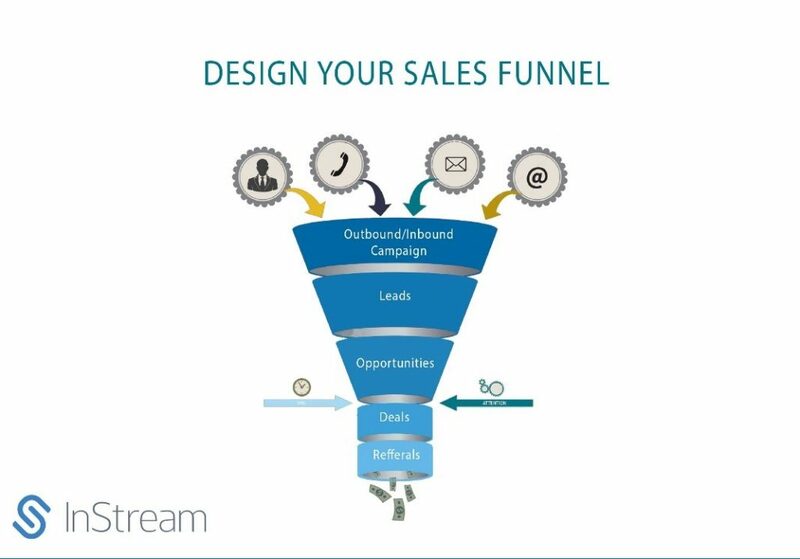 Every single sales process you can graph as a funnel. At the begging, we have a lot of dirty water, but at the end, the clean water flows out without unneeded pollution. In a sales process, at the beginning, we have hundreds of potential clients, which we have to verify and those who will be verified positively we have to process until they will buy from us. You have to remember that there is none one and only, perfect sales funnel, which will guarantee success for everybody. Designing the sales process is the task for the manager responsible for the team and results. 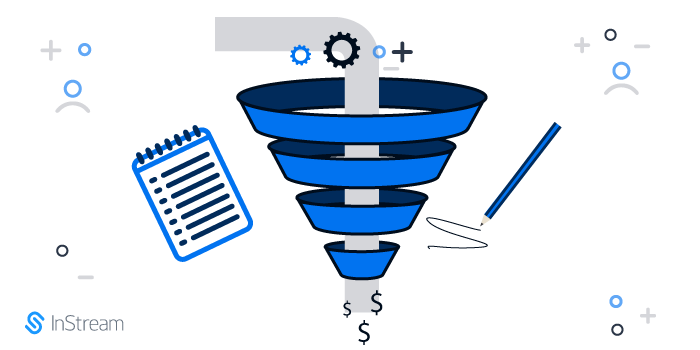 What are the benefits of well design funnel? How successfully generate leads? Which tools are mostly use nowadays? Where you should look for your potential customers and what attract them to visit our website? Why Cold Mailing, not Cold Calling? There is a simple division of leads for those which are coming from Inbound and Outbound campaigns. Inbound leads – Chapter 1 will be available on May 16, 2016 – these leads are a result of successful marketing work. These are potential customers which sign for a newsletter, had contact via social media networks, completed the survey/ contact form or reacted on an add (and left a footprint). In the next article (Chapter 1) I will present a lot of methods to generate leads. In InStream after only a few months of working, we have more than 200 registrations weekly. In our market sector (SaaS/B2B) it is a really impressive score, of which, I think, we should be proud off. In our case, the main source are Quora, Facebook, Youtube, Twitter, Guest Blogging, SEO, LinkedIn Pulse, Blog, Adwords, Slideshare and a few more channels. Inbound marketing was always estimated with work of marketing department. However, more and more experts are talking about Social Sales – the use of social media for sales. Here come into the spotlight well-trained sales specialists which are trying to gain new customers throw social channels. I will also write about that in mentioned Chapter 1. Outbound Leads – Chapter 2, which you would be able to read on May 23,2016. The most common method of gaining new potential clients is obviously Cold Calling. Apart from meeting with the customer face to face, the phone call is still the most efficient way of communication. Unfortunately, on the stage of gaining new potential clients, this method is really exhausting, frustrating and gets less efficient with the time. 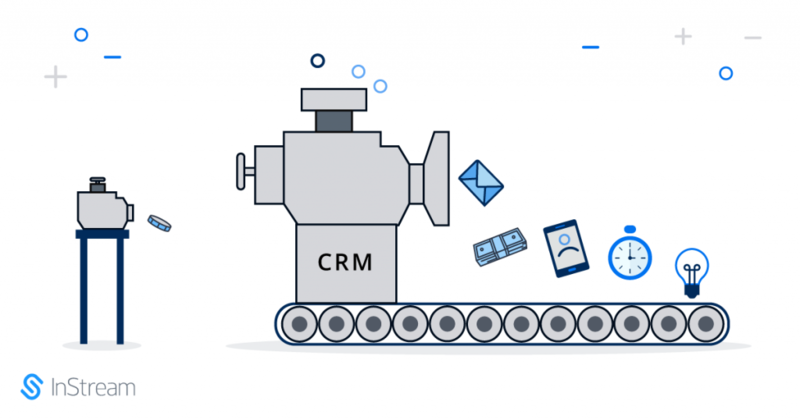 We are becoming more and more resistant for the unwelcome phone calls from sales representatives and we are not getting easily involved in discussions with them. Recently more often companies are choosing Cold Mailing as a leading method, which is based on creating mailing campaigns. Skillful design of Cold Mail campaign can be very efficient. In my article, I will describe this method step by step and I will show tools and how to generate potential customers e-mail addresses in only a few seconds! The last and the youngest method to generate leads is Social Selling. This method is based on extremely high activity in social networks and looking there for potential clients. I will tell you about some marvelous mechanisms, I will present numbers and hopefully, I will also have the expert to write for you some good tips. Why Not every lead is worth our attention? How to verify if a particular lead is worth processing? Who is the perfect client? 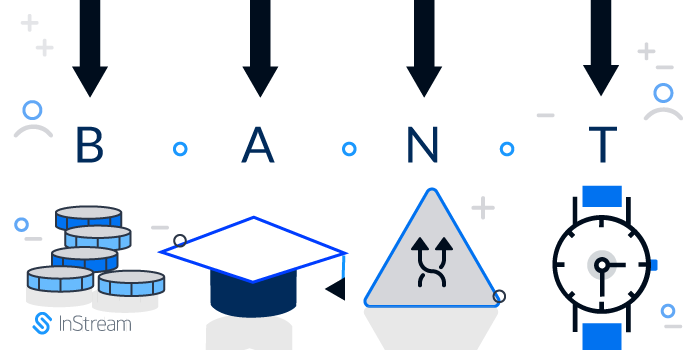 All the answers are hidden under the BANT expression. The faster you qualify leads you will waste less time on clients, which would not buy your product anyway. Save your time and be focused on what generates the value. In 3rd Chapter, I will describe, step by step, how to generate leads, what criteria the perfect lead should fulfill and why it is important to not have everything in the same place. I will explain also why you should have specialized sales team and why it is so important to have pre-sales – person responsible for leads verification. I will define a number of efficient rules that you have to implement in your sales team, which KPI are working and are rising efficiency of the team and why right provision system is so important. Third level: Sales opportunities. How to build relations? This chapter would be more theoretical than previous ones. You will learn why the ability to listen is the most important characteristic of a good seller. I will also explain why you and your client have a goal in common and how to achieve it. What’s more, I will share a few interesting examples, I will tell you how you should talk to your client and what you should avoid in any case. U will learn also why intentions are more important than techniques and how to build trust. In this part, I’m going to show you a few nice tools to handle relations with your customers and I will also tell you about some good practices. On this stage of the process, the most important are to properly define customer needs and ask questions which will deliver answers. It should help you to construct right offer and move to the next, negotiations stage. If all previous stages are well designed on this level you are only focused on closing the deal. 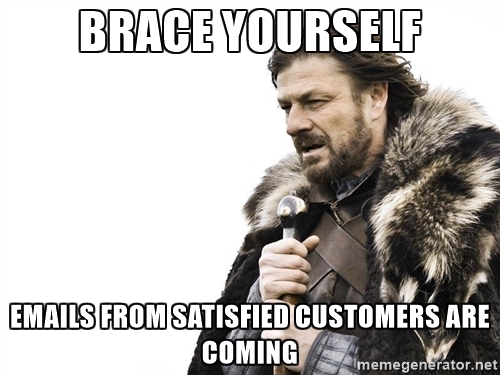 You have contact with your client, which already told you all his needs and expectations. What is more, he is aware that you are willing to help him and that you have a goal in common. You are not discussing if he is ready, but when he will be ready to start the collaboration. I will also present you some basic phrases and good practices which will help you to close the deal. How successfully handle negotiations? When and how you should present your final offer? 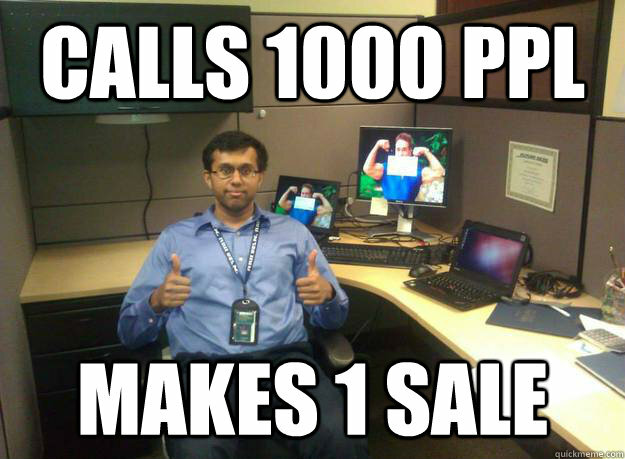 Why often customers don’t trust sales representatives? A satisfied customer is not only paying but is spreading a good word about you. Whispered marketing is having huge power so that it is important to take good care of your client also after the transaction. In this part I will introduce you to the most common methods of getting referrals, I will present some case studies. I will also show you how to use social media to easily gain new clients throw already existing ones. All five stages brought together will let you handle your client from the very first moment of getting him as not classified lead to the stage of having him as a satisfied customer. Every single article will be available on Wednesday and to make your life easier you will also get it directly to your e-mail account if you would sign up for our newsletter.